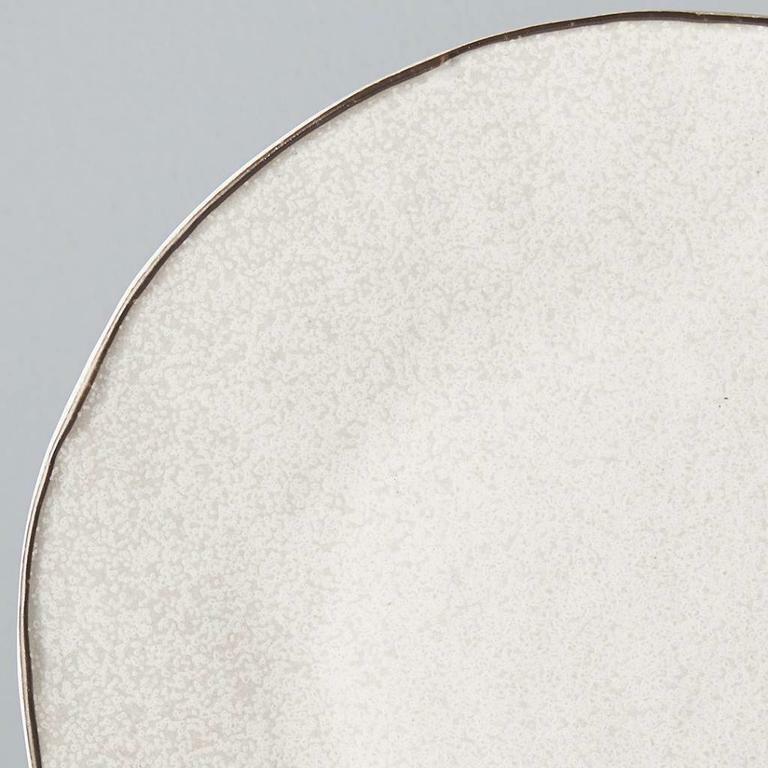 The craft collection is made up of dark and light porcelain dishes. 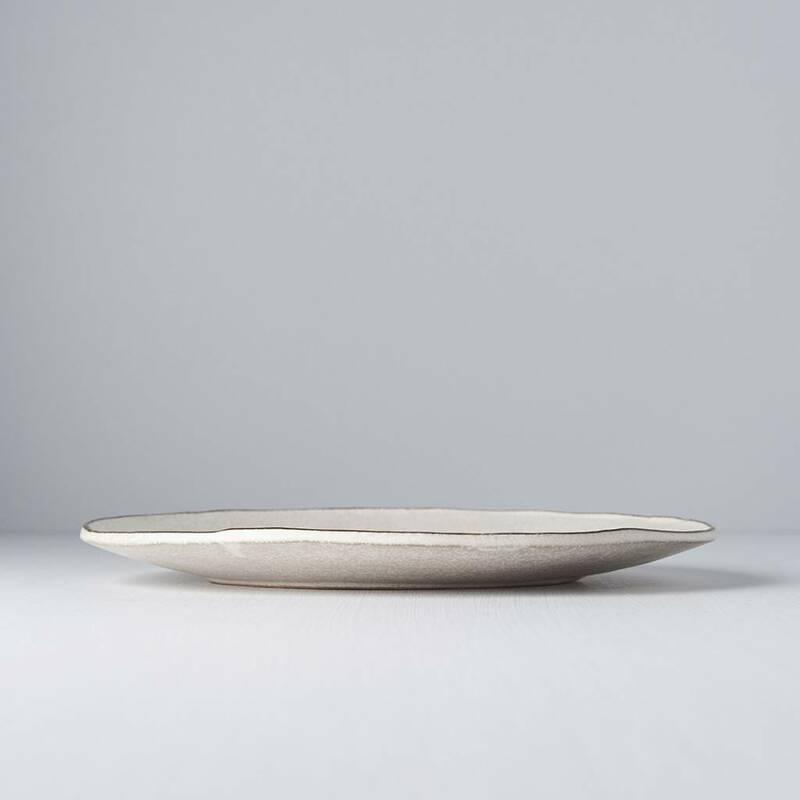 Their design is inspired by thousands of years of Japanese tradition, history and culture. This off-white plate with dark rim is a classic mix of beauty and style. If you want your food to have a natural organic look, this is the plate for you. 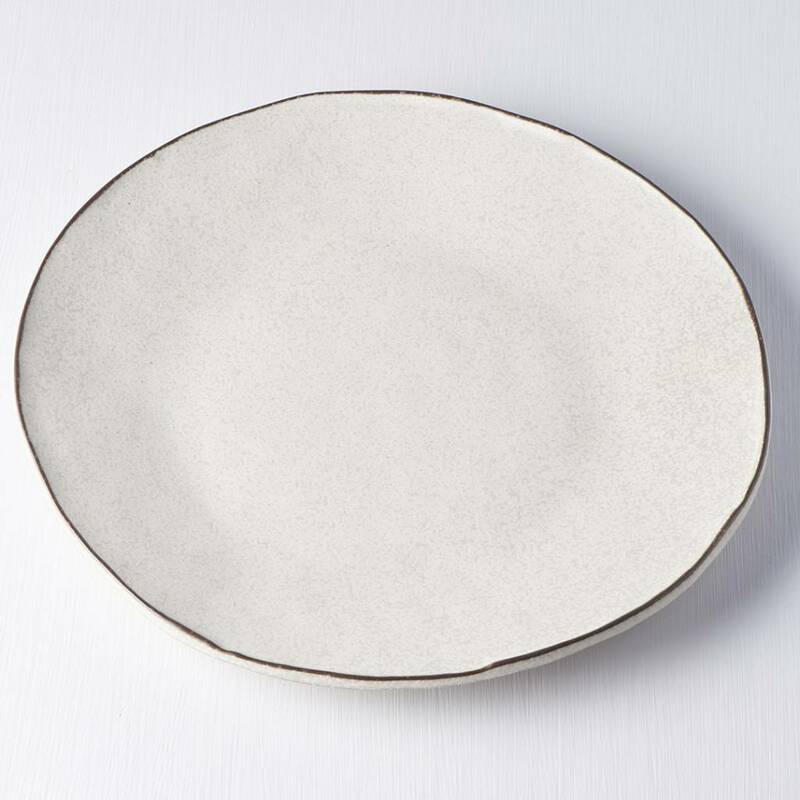 Earthy tones and an uneven edge makes this high rim plate perfect for showcasing your dish. 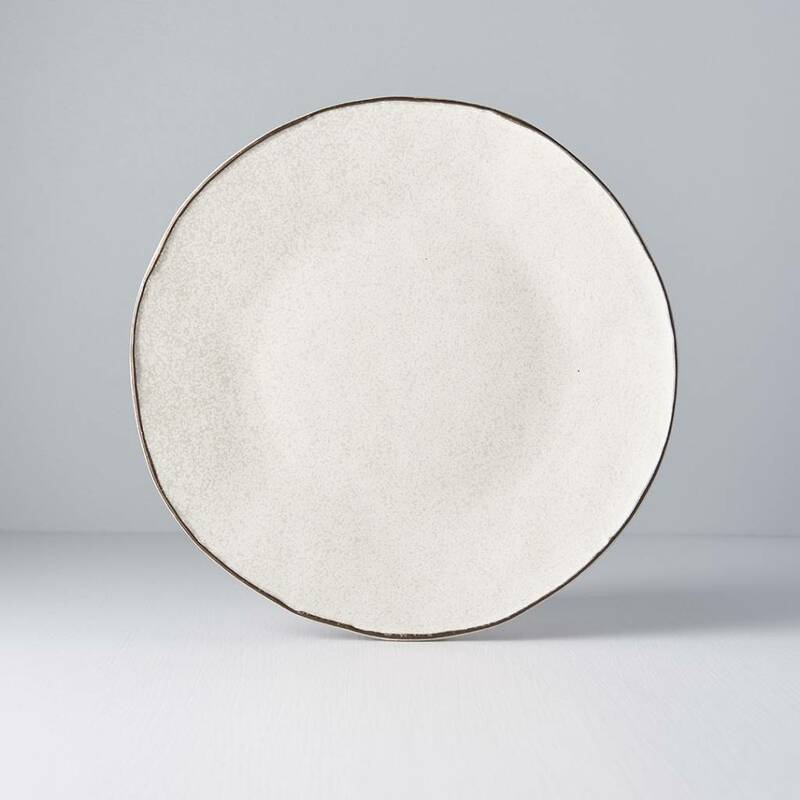 White dinner plate from our recycled collection, 24cm, a shell-like pattern on this plate is like rays of sunshine bursting out of the plate.